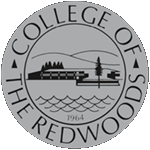 College of the Redwoods (CR) is accredited by the Accrediting Commission for Community and Junior Colleges (ACCJC) of the Western Association of Schools and Colleges (WASC), located at 10 Commercial Boulevard, Suite 204, Novato, CA 94949, (415) 506-0234, an institutional accrediting body recognized by the Council for Higher Education Accreditation and the U.S. Department of Education. Additional information about accreditation, including the filing of complaints against member institutions, can be found at www.accjc.org. College of the Redwoods was notified by the Accrediting Commission for Community and Junior Colleges (ACCJC) on January 26, 2018 that the Commission had reaffirmed accreditation for seven years and required a Follow-Up Report due no later than March 1, 2019.The College’s Midterm Report will be due on October 15, 2021. The accreditation of College of the Redwoods is reaffirmed every six years. The College’s next comprehensive review will occur in the fall term of 2024. College of the Redwoods has a variety of programs accredited by outside agencies other than the ACCJC. Information relating to the accreditation, licensure, or approval program can be found at the Program Accreditation Website. Designated lower-division, baccalaureate-level courses at the College of the Redwoods are approved for transfer to all branches of the University of California (UC) and to all of the California State Universities (CSU). College of the Redwoods is approved for the education of veterans under the provisions of public law. The information on this website is provided to our community to provide information about CR's accreditation status and activities as well as to provide general information about the accreditation standards and process. Use the links on the navigation menu to the left to view general information about accreditation, read the ACCJC standards, CR's reports to ACCJC and the Commission's responses, or to follow CR's activities related to addressing the Commission's recommendations.